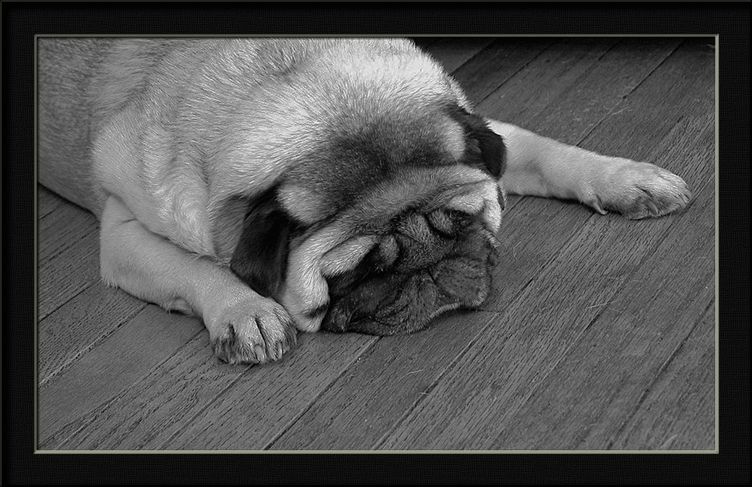 Photo "frank my little fat dog"
So beautiful! I love dogs and I have two. Well composed. He isn't fat he just has the coat of a Saint Bernard. My two dogs want to play with him. Mine is called Cuddles and nearly as cute as yours. He is so sweet and funny, Cliff!!! lovely captured, so nice tones, well done Cliff! And what a wonderful dog, my Friend! I have two. They are the best! Lovely your dog and excellent B/W portrait! Excellent portrait. very good your dog. W.r. There is a free registration with Weight Watchers at the moment Cliff,only joking.He has come on well since you got him,great image with nice contrast.